I love a couple who’s a good sport and can roll with the punches, and that’s what my future bride and groom, Stephanie and Stuart, are. When we had their engagement photo session at Liberty State Park in Jersey City, N.J., recently, it was windy, very windy. There were tourists and kids. Lots of them. And then there was the threat of rain which mercifully held out ’til the very end. And then there’s that crazy photographer they were with. But none of these inconveniences fazed them one bit. If they were tortured, they didn’t show any sign of pain. I just hope they had fun. Because I sure did. 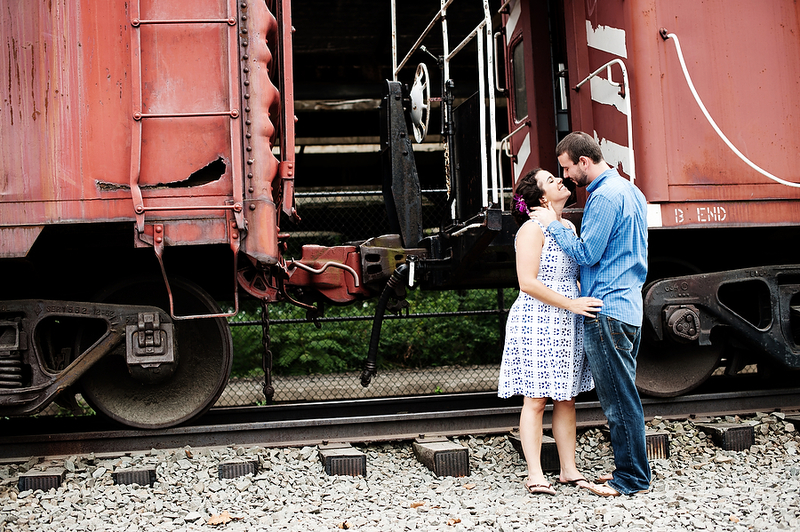 And I’m looking forward to photographing their wedding in September.